1Department of Agricultural Biotechnology, National Institute of Genetic Engineering and Biotechnology (NIGEB), Tehran, Iran. 2Immunology Research Center, Tabriz University of Medical Sciences, Tabriz, Iran. 3Department of Immunology, Faculty of Medicine, Tabriz University of Medical Sciences, Tabriz, Iran. 4Plant Protection Department, The University of Tabriz, 29 Bahman Blvd., Tabriz, Iran. 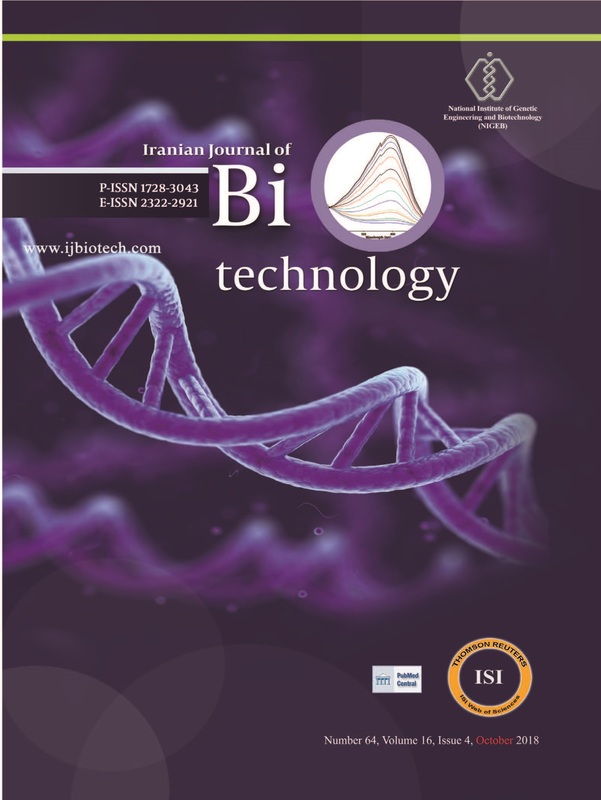 5Department of Industrial and Environmental Biotechnology, National Institute of Genetic Engineering and Biotechnology (NIGEB), Tehran, Iran. Background: Expression of virus coat protein (CP) in Escherichia coli often leads to production of partially folded aggregated proteins which are called inclusion bodies. Grapevine fanleaf virus (GFLV) is one of the most serious and widespread grapevine virus diseases around the world and in Iran. Objective: The main objective of this study was to find a simple and brief method for producing polyclonal antibodies (PAbs) to be used for immunodiagnosis of GFLV. Material and Methods: An antigenic determinant in GFLV CP gene was inserted into pET-28a bacterial expression vector and the construct (pET-28a CP42) was cloned into E. coli strain BL21 (DE3). The recombinant coat protein of GFLV (CP42) was expressed and characterized by SDS-PAGE and western blot analysis using commercial anti-GFLV antibody. Expression of the CP was detected in the form of inclusion bodies in insoluble cytoplasmic fraction. Then, the inclusion bodies were isolated from the bacterial cells and injected into rabbits for PAbs production. The reaction of the antiserum was checked by ELISA assay. In order to analyze efficiency of the produced PAbs, first the infected and uninfected grapevine samples were confirmed based on morphological symptoms then the indirect plate- trapped antigen Enzyme-linked Immunosorbent Assay (IPTA-ELISA) was applied using the commercial anti GFLV antibody. In the next ELISA assay, efficiency of the raised polyclonal antibody was compared with commercial one. Results: The expression of recombinant CP42 induced by IPTG was confirmed by the band of 42 kDa in SDS-PAGE and western blot. The antiserum of purified inclusion body immunized rabbit was reacted with CP42 and GFLV infected Grapevine samples. The results revealed an acceptable efficacy for prepared antibodies compared to that of commercial antibody. Conclusions: It was evident that the recombinant coat protein in the form of inclusion bodies can be prepared and used as the antigen for immunizing animals in order to produce PAbs.